River City Rolloffs of Austin, Texas, provides rolloff dumpsters for construction waste, demolition debris and construction material recycling. We are a locally owned and operated, environmentally responsible waste services company providing our customers with the broadest range of waste management solutions in the Austin Market. We offer collection, transportation, and disposal. Unlike other rolloff services, we also offer recycling services for processing wood/brush, plastics, concrete, metal, cardboard, clean sheetrock and more. River City Rolloffs, Inc. has been servicing the Austin area since 2003. 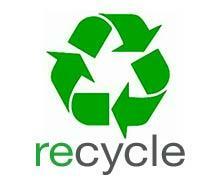 We offer construction waste and recycling services for residential, commercial, multi-family and industrial customers. From professional construction and building contractors to homeowners, our goal is to provide customers with confidence and peace of mind that their waste is being handled in full compliance of all laws. Our commitment to the environment is only equaled by our commitment to service our customer’s needs. Equipped with the latest routing and GPS positioning technologies our fleet is fully visible to our dispatch, insuring timely service to keep the construction process moving forward in an expeditious manner. River City Rolloffs is HUB, WBE, & DBE certified. Contact us today for more information about these certifications and how they can benefit your business. We are committed to helping you meet your project goals to Reduce, Reuse and Recycle. Insist your hauler provide you with a copy of the Texas Commission on Environmental Quality permit where the waste is being processed.